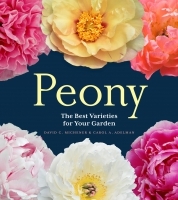 Peony features growing advice for one of the most beautiful and popular flowering plants. Enthusiastic home gardeners and peony collectors alike will learn the history of the plant, discover the different types of peonies available, and enjoy profiles of the best 194 varieties. Growing information includes details on climate, soil, light, planting, and water needs. Helpful lists detail the best peony varieties for specific needs, and a resource listing shares the best places to buy peonies and the best public gardens to see them in. With comprehensive cultivation advice, design information, and plant picks, this helpful guide to growing peonies is perfect for enthusiastic home gardeners and peony collectors.